For testing power consumption, we took our test system and plugged it into a Kill-A-Watt power meter. For idle numbers, we allowed the system to idle on the desktop for 15 minutes and took the reading. For load numbers we ran Battlefield 4 at 1920×1080 and recorded the average idle reading and the peak gaming reading on the power meter. Power Consumption Results: The system with the ASUS STRIX GTX 960 DirectCU II OC 2GB video card killed it on the power numbers. We averaged 102 Watts at idle and when gaming we topped out at 236 Watts. 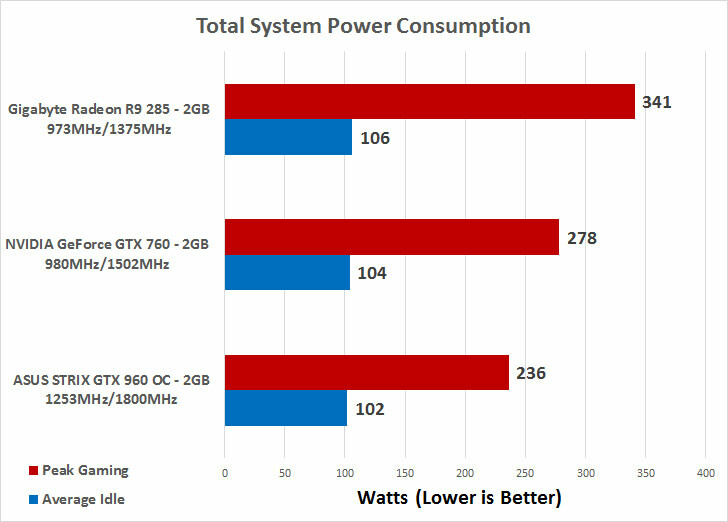 Compare that to the Gigabyte Radeon R9 285 that was hitting 341 Watts in BF4 and you have a huge difference between AMD and NVIDIA with regards to power consumption. 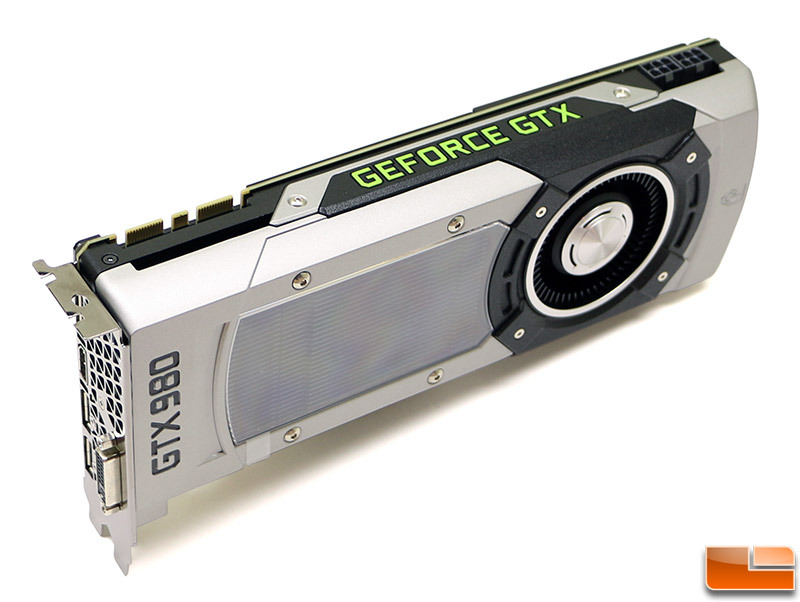 The benchmark numbers for BF4 between the GTX 960 and R9 285 were damn near even, but the AMD Radeon R9 285 is using 105 Watts of additional power to get that level of performance! Wow! 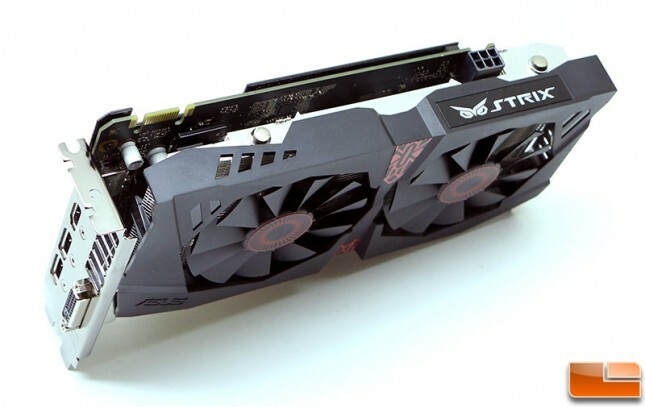 The ASUS STRIX GTX 960 was found to be quieter and use much less power than the Gigabyte Radeon R9 285!